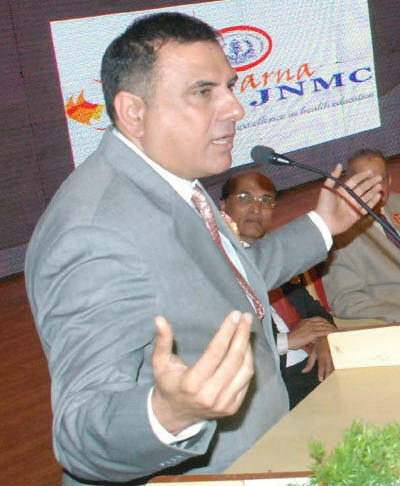 “Mamu” Boman Irani was here in Belgaum yesterday to inaugurate the yearlong KLE University’s Jawa-harlal Nehru Medical College Golden Jubilee celebrations. As the chief guest of the function he spoke out to the medical community and mentioned acting is nothing but speaking false but the correct way. 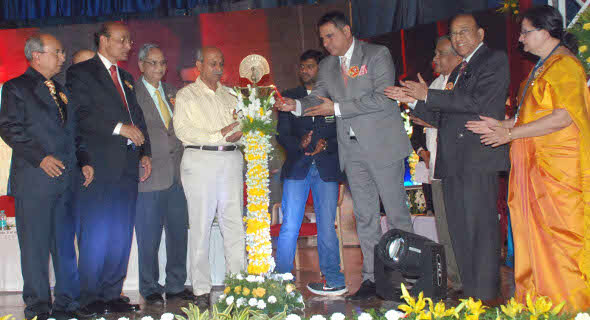 Golden Jubilee celebrations are not common in private medical colleges. Very few private colleges having an ‘A’ grade given by both NAAC and Ministry of HRD have got this distinction in the country. Late Rajiv Gandhi, when he was the prime minister was the chief guest during the silver jubilee celebrations. Earlier in the day a long walk was organised by all the students and staff of JNMC in the city to highlight the same. 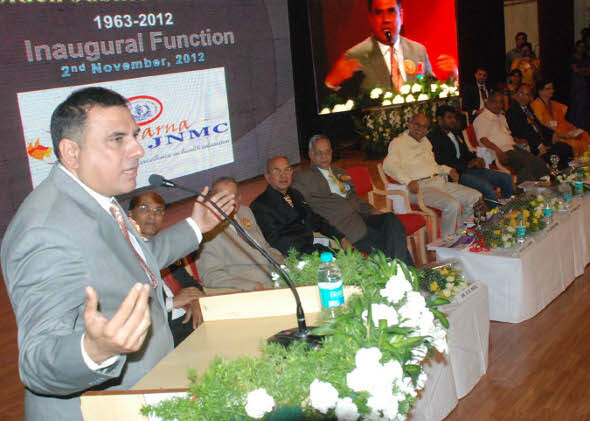 Prominent & dedicated Doctor should have been the chief guest for this function. That could have been motivation to the budding Doctors.